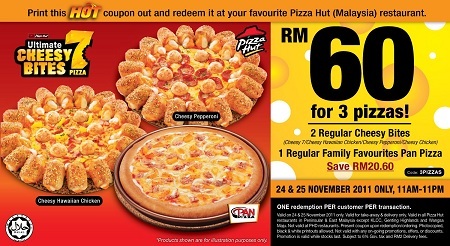 Valid on 24 & 25 November 2011 only. Valid for take-away & delivery only. Promotion is valid while stocks last. Subject to 6% Gov. Tax and RM2 Delivery fees.